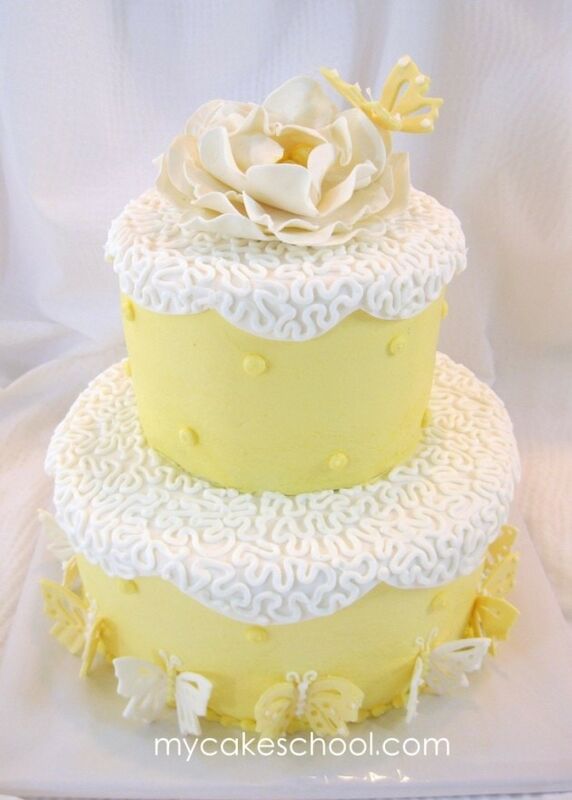 This elegant cake features gum paste butterflies, a lovely gum paste flower, and cornelli lace piping . . .